Good oral health can keep your body healthy too! Yes, You’ve heard it before, regular dental checkups will improve your overall health. But, did you know that it can help prevent heart disease? Studies are now showing strong links between gum disease and heart disease. 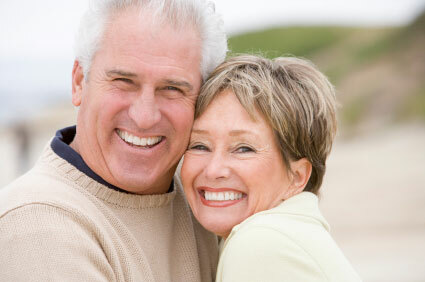 In fact, those with gum disease are much more likely to develop chronic illnesses such as diabetes or heart disease. Your dentist is much more likely to know something is wrong with your body before medical practitioner does. When “Sara” came in for a checkup it had been a couple of years. We noticed she’d developed some bad breath and her gums were swollen and beginning to bleed. After a thorough cleaning and checkup, we suggested she do some follow up with her doctor and to have some blood work done to check for diabetes. Sara was glad she did. Even though she had no family history or lifestyle risks, her blood work indicated she’d developed diabetes. She’s now on a treatment program that has made a huge difference in how she feels. She said she’ll never miss another dental appointment again. Yes, those dental x-rays can be a pain, especially for those of you who suffer from a strong gag reflex. We do understand. But, they do more than let us know when you’ve developed decay between your chompers. They also help detect the beginning of bone loss. Those x-rays are much more affordable than bone scans and are a great indicator of whether or not you need to look for further diagnostics. “Greg” came in for a dental checkup. We determined he was in the beginning stages of gum disease. He also complained of jaw pain. We didn’t see any indicators of TMJ and asked him to follow up to get his heart checked. Unfortunately, in the busy-ness of life, Greg let that slip his mind until he started having chests pains and had to be rushed to the hospital. He’d had a major heart attack. The jaw pain combined with his gum disease had been an early indicator. The next time you hear that oral health is good for your medical health, don’t blow it off. Regular brushing and flossing, along with checkups could actually save your life. Previous PostDid the Oral Surgeon Lie to Me?Next PostDo CEREC Crowns Break Easily?